Sumava is the forested and mountainous southern border region of the Czech Republic where the country meets Germany and Austria. 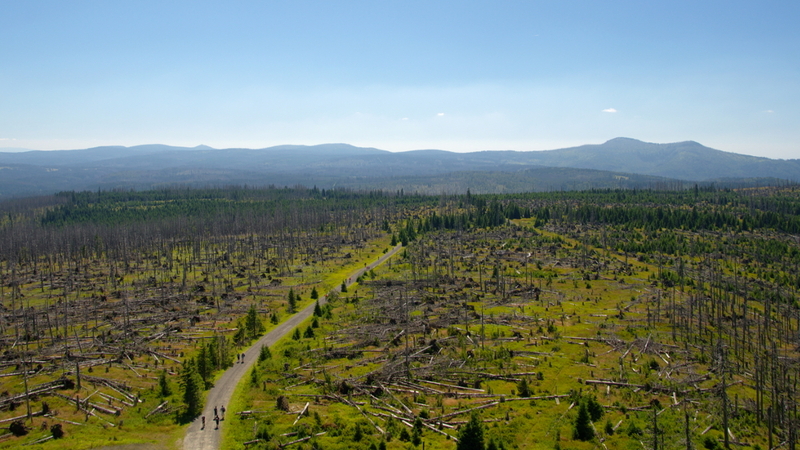 Part of it is National Park and there are trails connecting to the Bavarian Forest National Park on the German side of the frontier. This is the view South (towards the sun) from the Polednik viewing tower, formerly a listening outpost spying on then West Germany. The trees were damaged by storm Kyrill in January 2007.